Is there even such a thing as a 'Made in America' vehicle anymore? One of the most popular vehicles in the United States is a perfect example of why it would be so hard and so destructive to impose tariffs on Canadian-made cars in the name of protecting American ones. 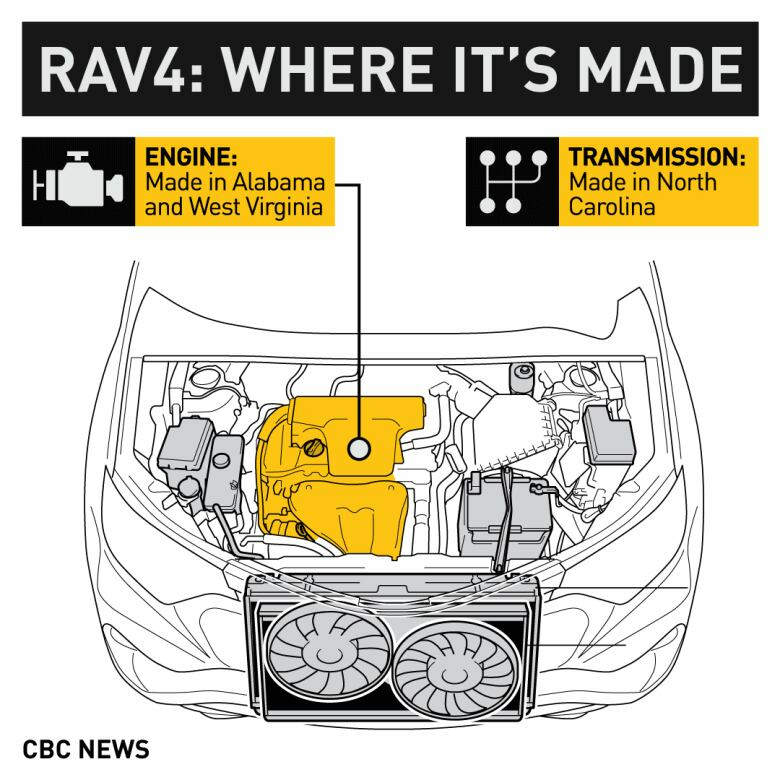 The Toyota RAV4 — the bestselling non-truck in America — is made in Woodstock, Ont. In fact, 247,633 of them were made there last year. The process to build each one is an intricate dance of manufacturers and suppliers in multiple countries, with hundreds of trucks a day crossing borders back and forth between Canada, the United States and Mexico to deliver parts. The engines are shipped from West Virginia and Alabama. The transmissions are made by a supplier in North Carolina. The seats are built in Woodstock, Ont., but a supplier brings in wire harnesses from Mexico and metal brackets from Kentucky. The sunroof and door frames are made in Stratford, Ont., with parts coming from all over North America. 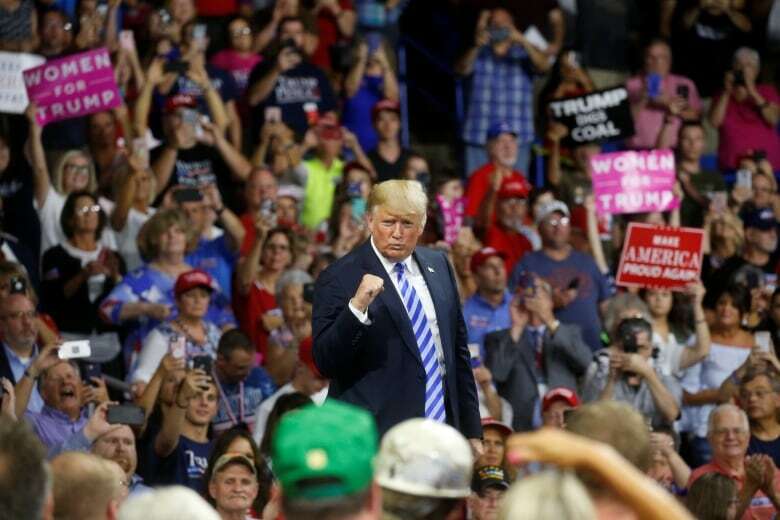 There are more than 300 trucks a day pouring into the Woodstock plant, criss-crossing borders and making sure the operation has the parts it needs. "From Woodstock, there's a truck going to Michigan every single hour of every day to pick up parts," says Ray Tanguay, former CEO and president of Toyota Motor Manufacturing Canada. And there are other trucks going to various suppliers across the continent. The Woodstock plant operates under a "just in time" delivery process. That means there's no warehouse to store parts. All those trucks bring all those parts by the hour. They're unloaded and funnelled into the manufacturing process immediately. 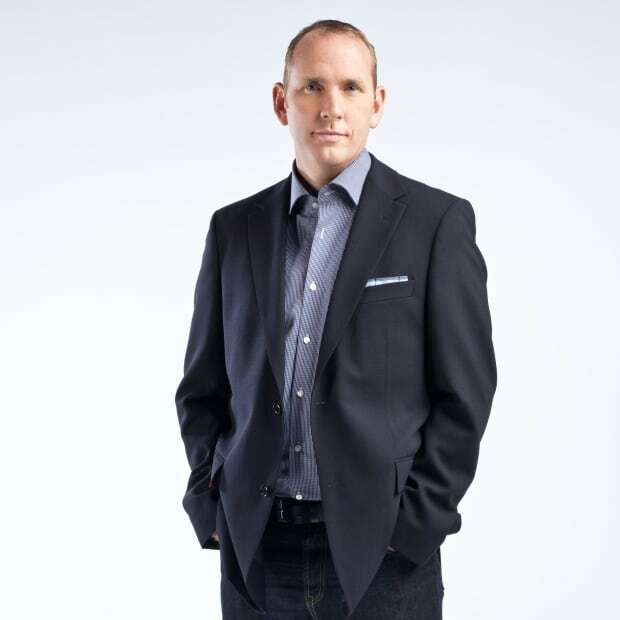 "Just in time means we are very dependent on suppliers' reliability and quality," says Tanguay, who most recently served as an adviser on the auto industry to the federal and Ontario governments. But it also means the entire process is dependent on trade agreements, border crossings and duty agreements. It's also dependent on the absence of paperwork. "When the auto pact was signed in 1965 they set it up as a paperless system," says Dennis DesRosiers, president of DesRosiers Automotive Consultants Inc. So all those shipments move without someone in every factory needing to fill out one more form. There's one less person at the border checking that paperwork and one less employee at each manufacturing plant making sure the papers are in order. "The typical automobile has between 5,000 and 8,000 individual components," DesRosiers says. "As we put them together these components cross the border multiple times," he says. Tariffs would add to the cost of any vehicle. 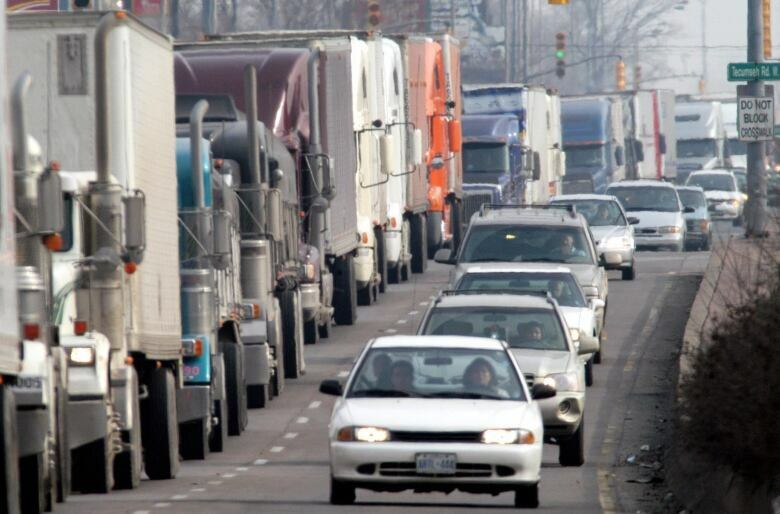 But they aren't the only added cost — DesRosiers says the additional paperwork involved in any new system of tariffs or duties would add an additional $1,000 to $2,000 per vehicle. He says the automotive industry has spent years making the system ever more efficient. 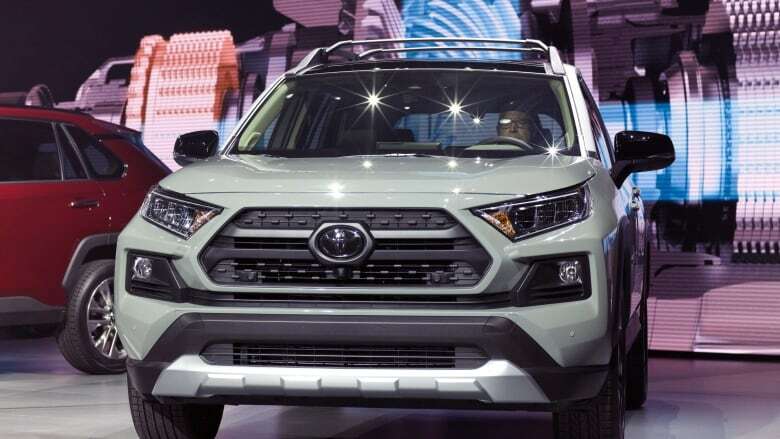 Just in time delivery, which began with plants like the one where RAV4s are made in Woodstock, has meant savings spread across the entire system. "It essentially took tens of billions of dollars of costs out of the system in making vehicles and almost all of that [saving] has been passed on to the consumer," DesRosiers says. The fear is now that a broader "Made in America" sentiment is trying to change that system. Some Americans (not only their president) want to see more cars made in the U.S. with more American-made parts in them. "Real globalization of the industry has created tremendous efficiency. And they're asking us to undo some of that efficiency in order to meet higher standards of content in North America," says Kristin Dziczek, vice-president at the U.S.-based Centre for Automotive Research. The problem with that, she says, is that it's become increasingly difficult to determine what Made in America even means. She points to the American Automobile Labeling Act. Even it, the only public source of content data in the U.S., counts both American and Canadian manufacturing as "domestic." "There is no way to tell what an American car is" she says. "Or how American your car is on any public data source available to consumers." Undoing or even complicating that process will rattle an entire industry and add thousands of dollars to the cost of a vehicle. Which is why DesRosiers can't understand why the Trump administration would even consider going down that path. "You'd need an absolute idiot in Washington to do that," he says. "Even a Grade 12 economics student could figure out this is the absolute worst thing to do for both countries." 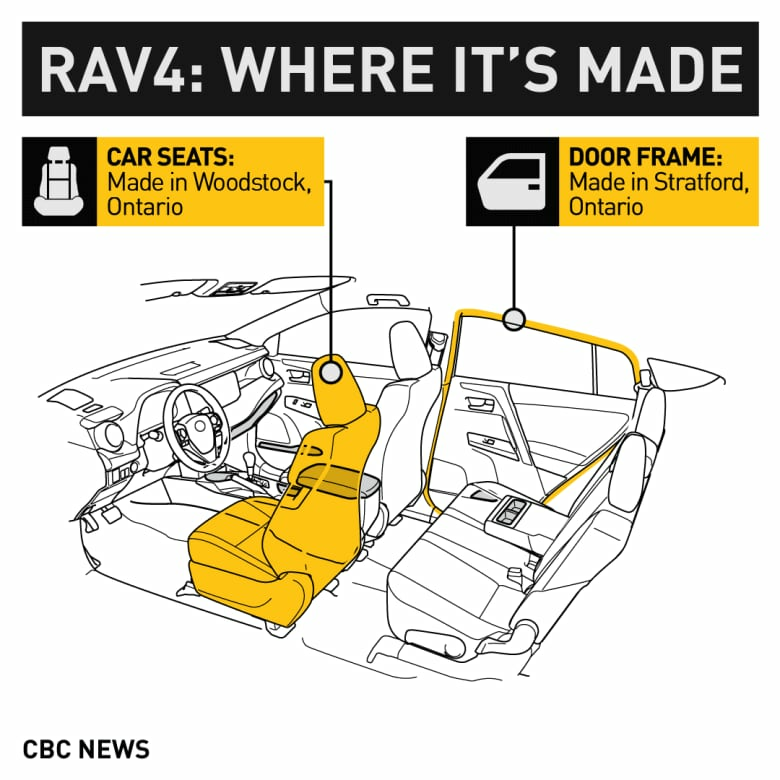 A previous version of this story incorrectly stated that seats for the RAV4 are made in Elmira, Ont. The seats are actually made in nearby Woodstock, the same locale where the vehicles are assembled.